Hold Up! Lil’ Mama Will Never Match Up To Left Eye’s Legacy! Rayn: Word! Lil’ Mama couldn’t hold a candle to her! 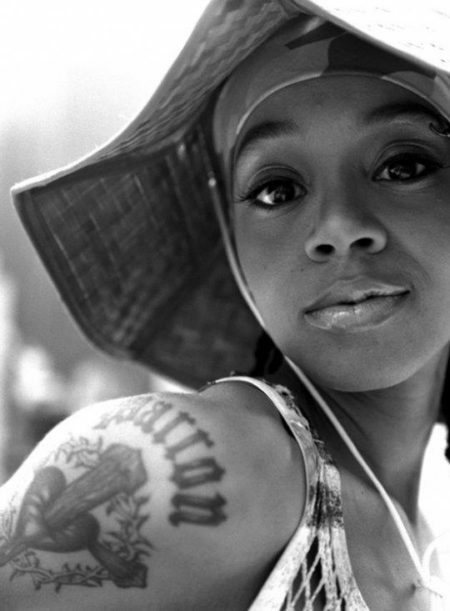 Left-Eye will always remain my original inspiration to rhyme – even before Lauryn Hill, who actually contributed to it, later, by virtue of her skills on the Fugees album, “The Score.” And, it was Left-Eye’s verse on “Waterfalls,” alone, that actually did it for me! 🙂 I played that portion of the song so very many times that my damn “CrazySexyCool” album stopped working properly SOLELY on that part – skipping it’s way through, instead!